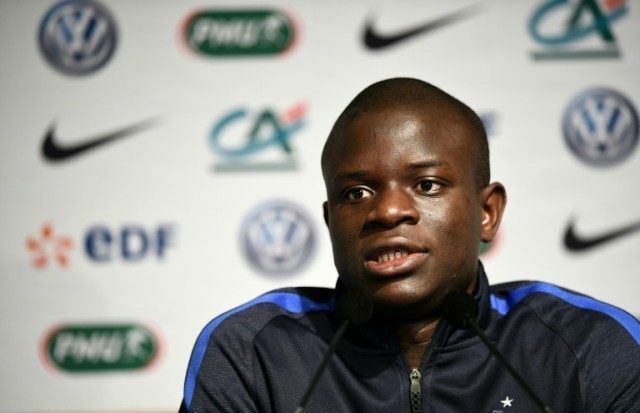 London (AFP) – West Ham manager Slaven Bilic has revealed he missed out on the chance to sign Leicester star N’Golo Kante last year. Bilic was close to signing the midfielder from French side Caen in the summer, but instead brought in Dimitri Payet, Manuel Lanzini, Michail Antonio and Pedro Obiang. “Yes, we were quite close (to signing Kante),” admitted the Hammers boss ahead of Sunday’s Premier League trip to title-chasing Leicester. “I watched him in France. He was a good player, the same player he is now with Leicester,” said Bilic. “He’s not very tall, but he’s one of those players that you think after 20 minutes that there are twins, that there are two of them, because the energy, the cleverness he plays with, he’s always there. “When you watch a game on television there are players that are always on screen. They are never out, whatever you see, you see them, they are always on television. He’s one of them. “That’s not only ability like having big lungs or legs or whatever, the capacity to run, this is in his head. Leicester trio Kante, Jamie Vardy and Riyad Mahrez have all been nominated for the PFA Players’ Player of the Year award for their roles in their team’s incredible title bid. But Bilic will have a contender of his own in French midfield star Payet. “Of course it’s great for him and for the club, and it also proves the club is playing good and having a good season,” added Bilic. “He made a great impact, not only for West Ham but for the league, so he deserves it. “He’s our player so I can’t be very objective talking about him, he is there for a reason and no one was surprised he was nominated. I hope he is going to win it.